This is the twenty fifth in a series which introduces and describes the various dive services and sites for worldwide liveaboard dive safaris. The focus in this one is on Oman liveaboards. Situated to the south of Saudi Arabia and the Emirates, with a coastline on the Gulf of Oman and the Arabian Sea, is Oman. 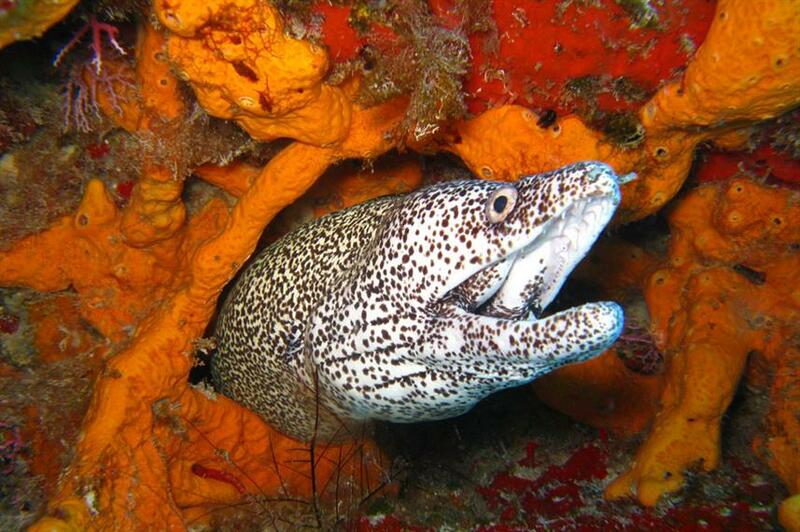 With its rich history and dramatic desert and mountain landscapes, it is increasingly being discovered for its fascinating and protected scuba sites that are so well accessed by a liveaboard. Many of the best sites are protected by bans on fishing which has promoted rich coral reefs of diversity with great macro life, pelagics and massive schools of fish. While there is significant drift, on occasion, on some sites, and some cave and wreck exploration available, most of the sites are on shallow reefs where the diving is suitable for beginners. 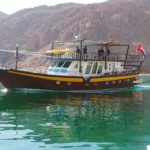 The Oman liveaboards provide an excellent opportunity to increase skills by taking an advanced open water or underwater photography specialty course. 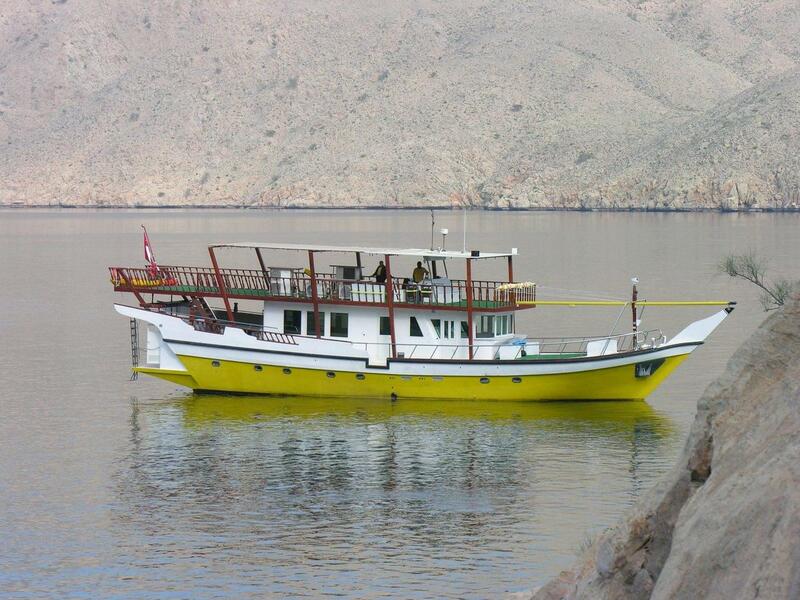 Musandam: Diverse area with reefs, walls, limestone substrate, caves, coral gardens, some strong current. 900 species of fish. Pelagics include manta and eagle rays, dolphins, whale sharks, mola mola, hawksbill and green turtles. Also home to spiny lobster, cleaner shrimp and other creatures. Sandy cave bottoms with skates, rays and sharks. Schools of tuna and jacks. Daymanayit Islands: 100 species of soft and hard coral, 10% endemic to Oman. 280 species of fish, sting rays, green and hawksbill turtles, moray eels, leopard and whale sharks. Bottlenose and spinner dolphins and humpback whales sometimes encountered. Nature reserve with turtle nesting and bird sanctuary. 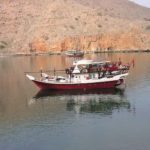 Bandar Kayam: 15 dive sites southeast of Muscat. Variety of sites – shallow coral reefs, swim-throughs and drop offs to 100ft/30m. Rich soft and hard corals, Giant honeycomb moray eels, lobsters, sting rays, turtles, nudibranchs, pipe fish, and gigantic schools of fish. Al Munnasir Wreck: Artificial reef of a scuttled 3000 ton 276ft/84m ship at a depth of 100ft/30m. Lots of fish including huge morays and grouper, large schools of snapper and goatfish, resident turtles and rays. Fahal Island: Rocky wall site on one side with broccoli soft coral. Large coral garden with seasonal turtles, eagle rays and whale sharks on the other side. Hallinayat Islands: Healthy marine life with a pristine coral garden and wrecks, resident humpback whales, encounters with manta rays, sperm whales, large pods of dolphin, green turtles, oceanic manta rays, giant groupers, giant catfish, mobula rays and thousands of fish. The water is warm year round at 27-28°C (79-82°F). Some sites have a thermocline at around 10 meters (33 feet) where the temp can drop to 23°C (74°F). A 3mm wetsuit is recommended. Visibility varies based on the season and plankton blooms. The range is from 35-85ft (10-25m). The best season for whale sharks is October to February. For turtles it is March to June. For big schools of pelagic fish and manta rays the season is November-December. January to March is the humpback season. April is the best time for dolphins. 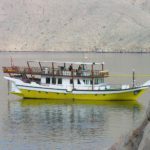 In summary, from October to June something memorable to see and photograph is making the cruise to the seas around Oman. The Aggressor Fleet is represented by the Oman Aggressor, a 22 meter, high quality, modern yacht offering 4 itineraries over 7 to 10 nights. I have never been scuba diving but your post makes me interested. Also the fact Oman is so beautiful on land and sea makes it even more interesting. Here in Belgium the sea is worth nothing, compared to there. I will show your post to my wife and I think we will go soon. Thanks a lot for your kind comments and interest in Oman and scuba diving. 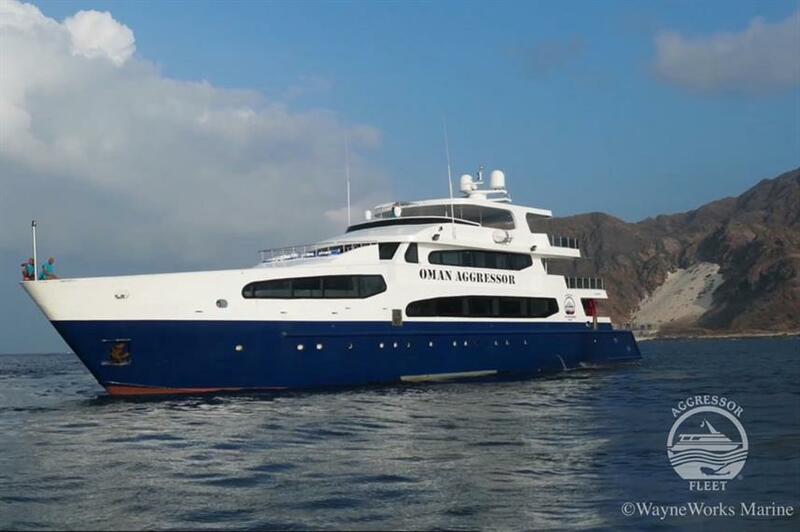 You can learn to dive on these Oman cruises. The basic open water diver class takes about 3-4 days and includes some study, 5 shallow water classes to learn the skills and 4 open water dives to practice the skills and have a supervised introduction to the undersea world. After that you will be ready to join the others in their guided dives. If you have any further questions or need some help with booking, please let me know. You’ll have a great time. Wow, what a lovely area of the world to go diving in – it’s been a while for me now, but this article really has reminded me about the beauty one can experience under water. I’ve checked through the boats available for these scuba expeditions and I have to say that I like the more ‘local traditional’ vessels you have covered. The Red Dhow, Queen of Musandam and Yellow Dhow have a much more traditional look about them, and they work out cheaper. Have you ever been on one of these types of ‘Dhow’ boats, and if so, how did you find the experience? The dhows or traditional vessels are quite intriguing. They are a little more spartan than the Aggressor, but are comfortably outfitted. Also, the diving is done off of Zodiac tenders, which are fast and convenient for going into small coves or to shore. I haven’t been on a dhow yet, which I hope to do before too long. If you have any more questions, please let me know. Otherwise, I would welcome your comments on some of the other liveaboards and resort diving areas that I review. Scuba diving is a favorite for adventurers who will love to discover new things. This article is really helpful for a beginner and newbie who wants to begin the adventure of diving. The package deal looks awesome, but I realize without proper training diving can be dangerous. I see that there is some drift diving and some caves and wrecks to be explored, but most of the sites are on shallow reefs where the diving is appropriate for beginners. That suits me, as I have no experience. Thanks a lot for your kind comments and interest in diving in Oman. It’s a great location for some special diving and a pretty good place to learn to dive. As I have said in the comments to others, it takes about 3-4 days to do the open water diver course which includes some study, 5 shallow water classes to learn the skills and 4 open water dives to practice the skills and have a supervised introduction to the undersea world. After that you will be ready to join the others on your cruise in their guided dives. It is possible to take the class in many places. If you would like some advice on other locations or liveaboards, let me know and I can get you hooked up with an appropriate place for you. Good luck. I hope you decide to take up diving. It can be a great lifelong adventure. I never knew scuba diving could be this affordable. It is one of the things on my bucket list that I haven’t crossed off yet. 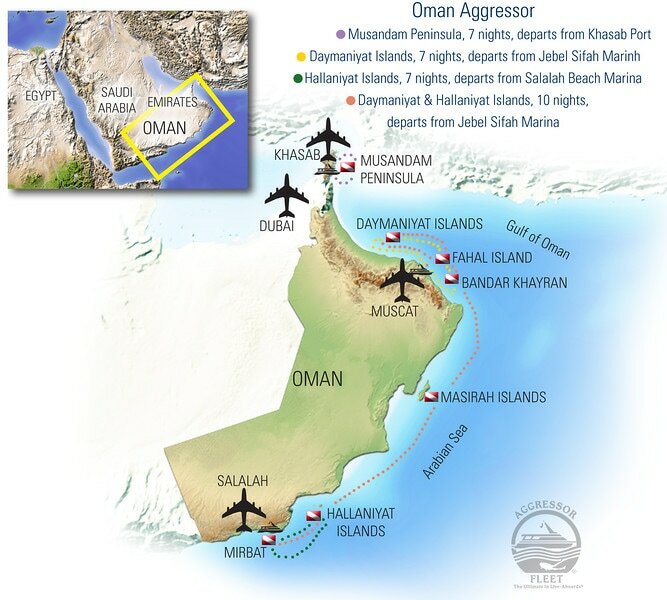 How can I to book a spot on the Oman Aggressor? I’m guessing it is operational all year round which is a wonderful thing, so its not limited and time bound. I would love to have this experience. Thanks for this detailed review, Joe. 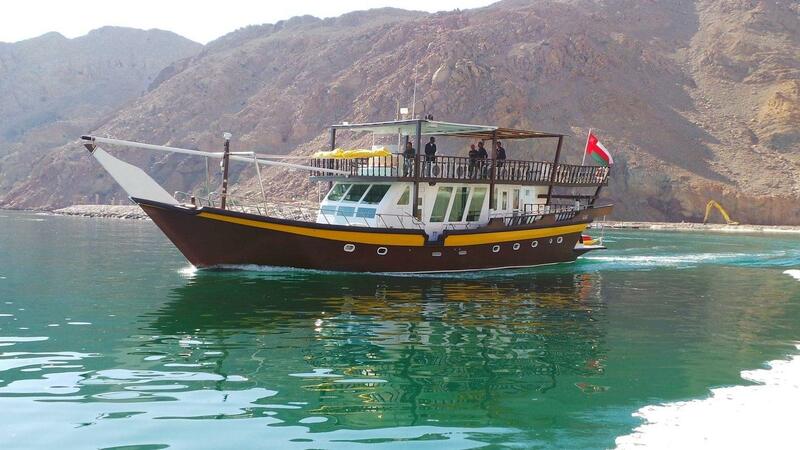 The pricing is pretty good on these Oman liveaboards and the diving is excellent. 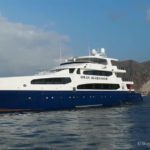 To book the cruise go to my website and just below the information on the Oman Aggressor click on “Check it out on Liveaboard.com“. That will take you to a page where you can book the trip and get answers to additional questions. They are running these cruises year round. You can do the basic open water diver class onboard the Oman Aggressor and it takes about 3-4 days and includes some study, 5 shallow water classes to learn the skills and 4 open water dives to practice the skills and have a supervised introduction to the undersea world. After that you will be ready to join the others in their guided dives. If you have additional questions, please get in touch. I know you’ll have a great time.